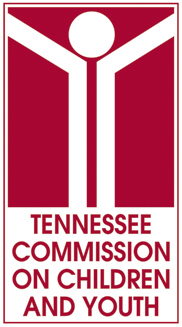 To ensure Tennessee families have access to community-based services for children, youth and young adults with mental, emotional, and behavioral health needs that is coordinated across systems, individualized to a family’s unique needs, strengths, and culture, and where the families are the primary decision makers in the care of their children. System of Care Across Tennessee (SOCAT) builds on two decades of System of Care experience and focuses on young children, children, youth, and young adults, and their families. SOCAT utilizes the System of Care values and principles while empowering Tennessee families to work together with child-serving agencies as partners to guide their care. Create and strengthen local interagency planning teams (i.e. SOCAT Teams) in each of Tennessee’s 95 counties ultimately ensuring a statewide infrastructure for systems of care. Implement a SOC Financing Plan which supports sustainability of SOCAT Teams and SOCAT Care Coordination Services. Promote and initiate policy and environmental change strategies to ensure easy access to mental health care (e.g. school-based mental health services, integrated PCP/BH care, etc.). Launch a comprehensive SOCAT social marketing/communication strategy. Oversee the development and implementation of evidence-based and evidence-informed services and supports (e.g. wraparound, family/youth peer support, etc.) for children with serious emotional disturbances (SED) and their families.